Ah! What have I read here? A delightful take on life? A sensitive take on grief? A wise take on relationships? Perhaps all of it. And more. At the centre of this book, is an almost-eight-years old, Elsa. When her best (and quirky) friend, her grandmother, leaves her a series of letters upon her death to be delivered to their intended receivers, she sets onto a thrilling journey of discoveries. What was the primary purpose of the letters you ask? You guessed it. To say sorry. Among Elsa’s neighbours are eccentric chatterboxes and drunken workaholics, weird hounds and mysterious lurkers. Her mother is her punch-bag over teen issues (if Elsa can be called a teen that is) and her Dad is her word collector who can stand everything except a grammatically incorrect sentence. Well, mostly. Wading through this motley hoard of people, Elsa embarks on a voyage of her own, fumbling on realities at every step and growing wiser with every revelation. Reading quality literature like the Harry Potter series comes handy. And so does listening to (and reminiscing) Granny’s fairy tales. After all, she is the Knight in the Land-of-Almost-Awake! Backman’s heart-warming army conquered me in no time. He possesses a deceptively easy style of narration but one is taken aback by the substance he packs in his one-liners. Never mess with someone who has more spare time than you do. Its strange how close love and fear live to each other. It appears as if Backman leaned on many a poles and watched people battle their demons in routine life – just how some transformed into the fiercest warriors under chaotic spells but were sorely defeated by the toothless, simple, predictable plateau of life. And why everyone, irrespective of their positions on the axis of life, needed attention. We want to be loved; failing that, admired; failing that, feared; failing that, hated and despised. At all costs, we want to stir up some sort of feeling in others. Our soul abhors a vacuum. 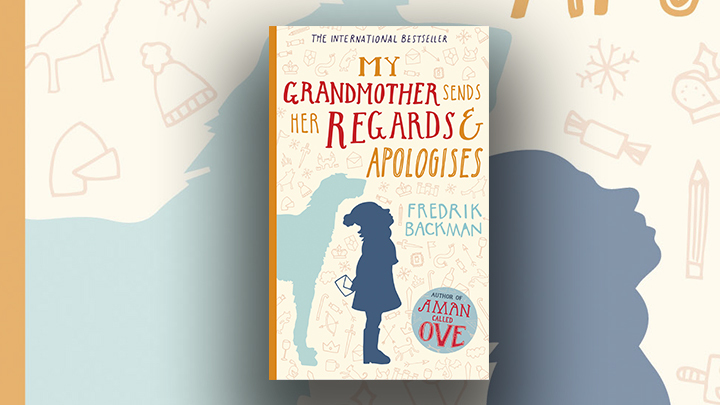 The strength of Backman’s narrative rests on his seamless switching between hilarity and sombreness, keeping the sensibilities of his characters away from dilution. So when a child and a war soldier look at the same issue and engage in a long discussion, their respective identities and backgrounds stand beside them like faithful sentries. That both can still reach a common ground is the beauty of this book. This work is a magnificent ode to humanity and the many virtues that guard it from losing its sheen. It’s a subtle but strong call to dream, to imagine, to protect, to persevere, to sing, to dance, to fly, to fall yet to stand, to encourage, to fight for the right cause, to love, to forgive; in other words, to live. Nothing is a shame, even believing in superheroes, if it eventually adds up to the good in this world.